Recently I got a phone call from my friend Paul. 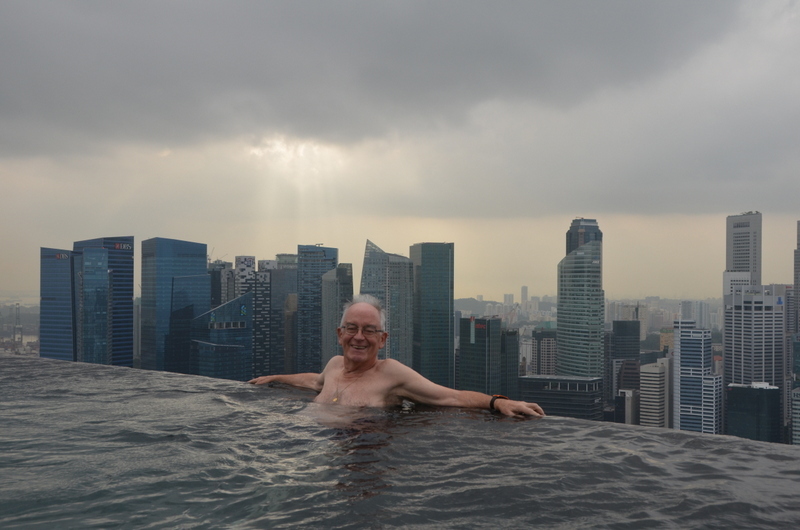 “I have booked a trip to Singapore, with an overnight stay in the Marina Bay Sands hotel. Leaving tomorrow. Just got news from my friend that he is unable to join because of a problem in his family. Can you replace him”? I was free that weekend, so of course I did not say no…:-). 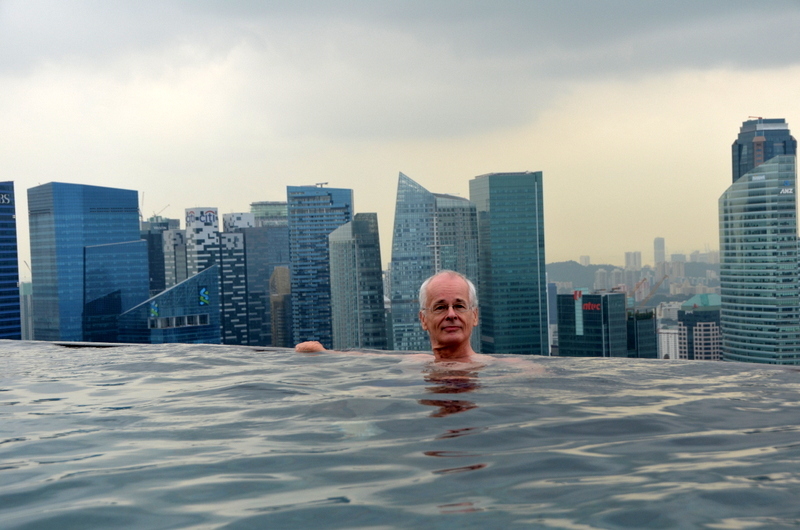 Two years ago I had visited this iconic hotel and enjoyed it very much, see my report. After our dinner (in the food court, the Marina Bay Sands restaurants are too expensive.. haha), we walked a lot in the the town and around the marina. Here are some night views. 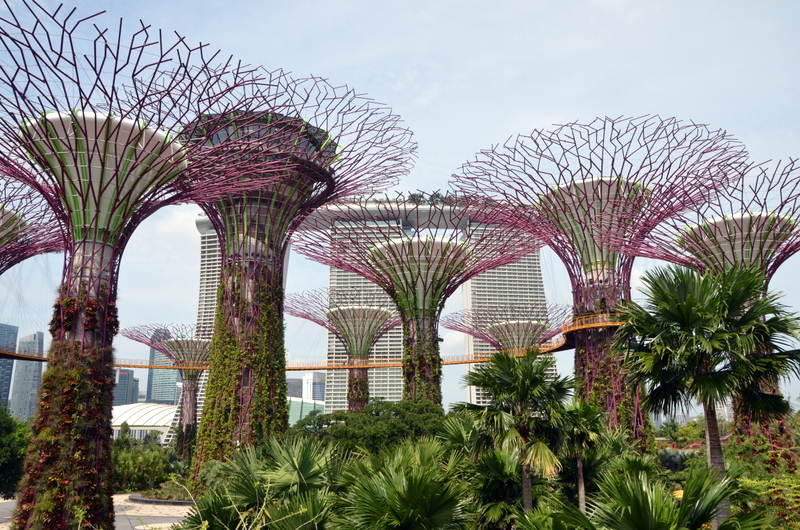 The next day we visited the Gardens by the Bay This park of more than 100 hectares, on reclaimed land, was not yet open to the public during my earlier visit. The park itself is freely accessible, but for some of the attractions you have to pay. From the park you have nice views of the hotel and the Singapore skyline. You can easily spend many hours here. Access to the two domes is expensive, we did not go in, later we heard that it is worthwhile. But we visited the “canopy walk” Here is a collection of pictures. 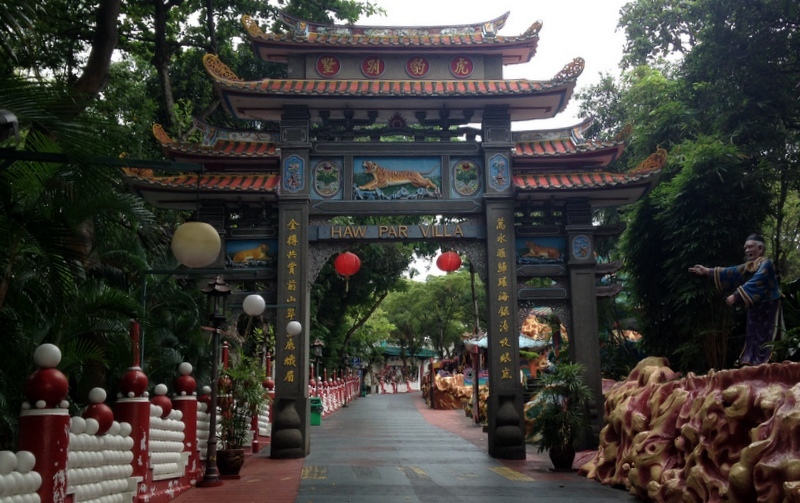 Access to the park is free and easy, there is a new MRT station around the corner. Not so many people know about its existence. The park is a photographers delight. Here is a selection of my pictures. And here is what you can expect as punishment for what you did wrong in your life. Don’t worry too much. Before you are reborn in your next life, you will be served a cup of tea of Forgetfulness, so you will not remember anything in your next life! 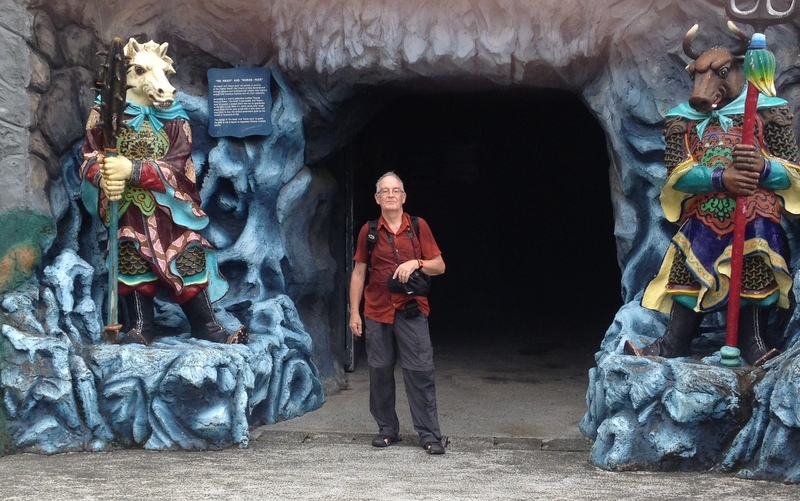 This Haw Par Villa is definitely worth a visit! 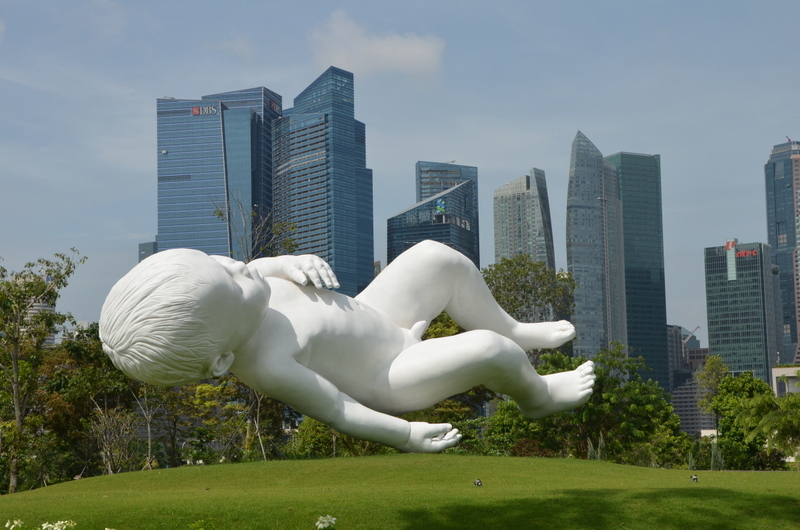 This entry was posted in Architecture, Art, Culture, Singapore by janstu. Bookmark the permalink.